Dragon, Prince and Princess with background. 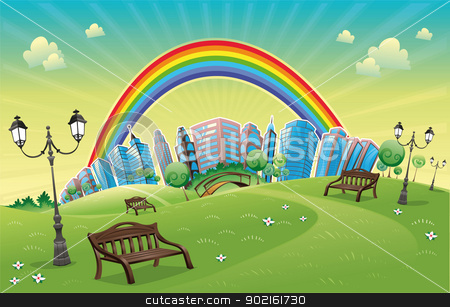 Vector of Park with rainbow. Park with rainbow. Funny cartoon and vector scene.